Well, a couple months have gone by since the last blog post, and A LOT has happened. 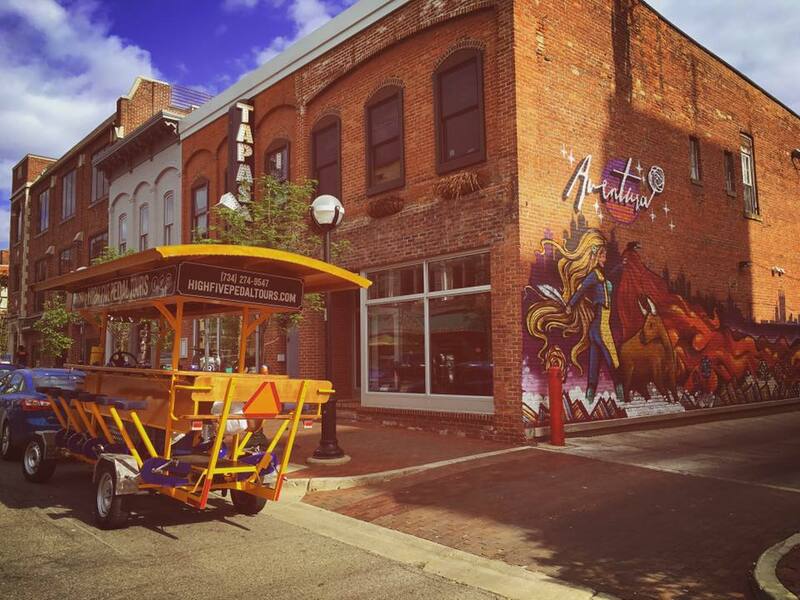 The City of Ann Arbor has officially voted in Chapter 131: Commercial Quadricycle Ordinance into the city’s books! I’m extremely proud and happy to have been a part of such a historic event in the sixth largest city in Michigan! Such history is tied to this 192 year of city, and it continues to grow. It was a short, but tasking road since last fall, at least it seemed that way to me. There were a few wins during the ordinance approval, and a few loses. The wins? Making sure all passengers are safe and making sure seat belts didn’t become mandatory on the bikes. You can read about my opinion on these in the last post. Another win has to deal with when/where we’re allowed to operate while there are street closures for events downtown, which also brings a pretty big loss as well. We are unable to run tours on any date there is a major event at Michigan Stadium, aka The Big House. For this season, the first six of eight games are at home. All Saturday’s in September are blocked off, and two Saturday’s in October are a no go. Unfortunately, Saturdays see to be the most popular. What my hope is, is that we can get the bookings for Saturday moved to Friday and/or Sunday for an extra day of tailgating. I want to work with the hotels downtown to offer discounts to their guests, and I’ll probably offer discounts to non hotel guests as well, but we’ll see how everything goes. The Ann Arbor City Council also changed their mind during the first second reading to allow alcohol (beer and wine only – per Michigan state law) to be consumed by passengers on a BYOB basis. At least two readings in favor of an ordinance are required before officially entering the books. It wasn’t until the second seond reading that the ordinance was passed by City Council, if that makes sense to you. This is not something I’m ready to fully make a jump into, but I don’t see High Five keeping the “no alcohol” policy for very long. In fact, to be sure tours are run the way we like them to be run, even with alcohol, we have run some preliminary testing and have allowed alcohol on a few tours since the ordinance was passed. The results? Passengers behavior showed no difference when consuming alcohol on the bike vs. only consuming in the establishment stops during the tour. I value all of the relationships that I have built with the local businesses we stop at on our list of preselected tours. When I’m ready for High Five to make that jump, I will notify all of my contacts to make them aware and update the website to reflect the new policy. Looking back on the first half of High Five’s first season and reflecting on the changes that have happened, the hard work put in, all the tours, passengers, and stops made so far, the relationships I’ve built with other small businesses, municipalities, travel groups, hotels, and the Ann Arbor Convention and Visitors Bureau. I can say I’m very pleased with how things are going. And although you may not have booked a tour, and maybe you have, I want to say thank you for showing an interest in what we’re trying to accomplish in Ann Arbor. The city has a lot to offer, and we want everyone to be able to experience it in a new and unique way.